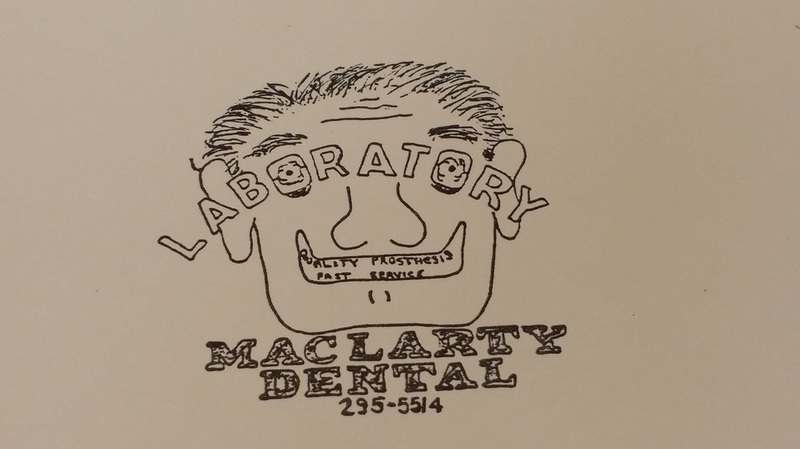 Welcome to MacLartyDentalLab.com. We are a small family owned and operated dental lab that specialize in custom removable prosthetics. Our story started back in 1983 when Neil MacLarty was attending Orlando College. He was such a wonderful student that he went into business with one of his instructors, Tom Cook, and created Cook-MacLarty Dental Lab. That was just the start as Tom moved back home and we became MacLarty Dental Lab. Neil wanted to find our niche, so he was involved in the new technology back then, dental implants. He helped pioneer the field and even made the list of the top 100 dental techs in the late 80s. We were a full service lab doing everything implant related. In the early 90s we changed once again. That is when Jason, Neil's son, decided to jump in with both feet and we slimmed down to just Neil and Jason, losing most of our crown and bridge departments. Not too many years later, Tess, Neil's daughter, went to school and joined us as well. Of course we don't want to leave out Linda, Mom, as she has been involved in the lab keeping it running and making our deliveries. Currently, we have become more focused on our core, dentures and partials. We know the days of having a single lab for all of your needs are far gone, so we stopped trying to do everything. We now specialize on dentures like a partial frame labs do with metal frames. We hope you will be part of our family as we plan to serve the Orlando area for a long time.